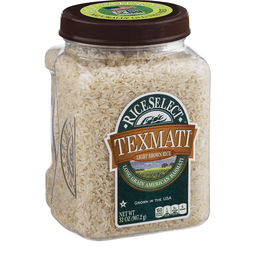 Our award-winning Texmati® Brown Rice is the all-natural, whole-grain alternative to Texmati®White Rice, and a perfect choice for today’s healthy lifestyles. 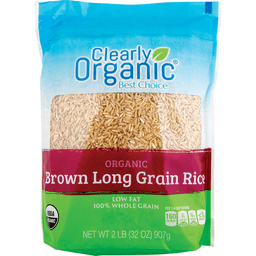 With only the inedible husk removed, it is a good source of whole-grain dietary fiber that, as part of a total diet plan, has been shown to reduce the incidence of some forms of cancer and coronary heart disease. 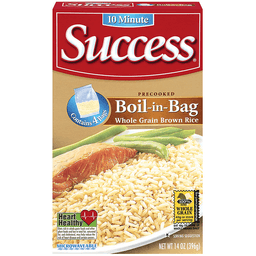 It also has a low glycemic index value. 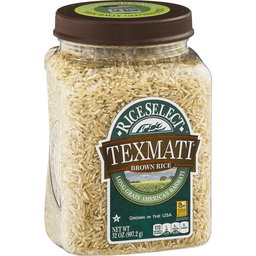 With its nutty taste and slightly chewy texture, Texmati® Brown Rice is great when paired with strong seasonings and sauces. 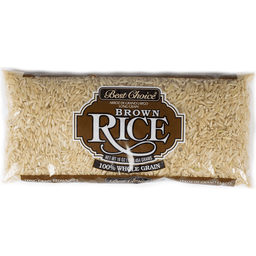 It is also ideal for stir-fries, soups, fried rice, pilafs and stuffing. Star-K Kosher Certified. 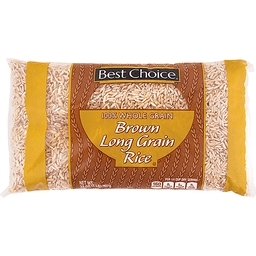 Long grain American basmati. 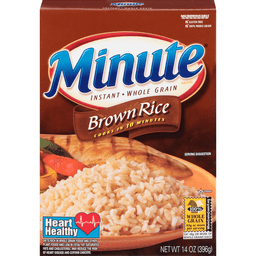 Per serving: 160 calories; 0 g sat fat (0% DV); 0 mg sodium (0% DV); 0 g sugars (0% DV). Go Texan. International flavors, American grown. Grown in the USA. All natural. Add water, heat & serve. Gluten free. Ready in 15 minutes. Premium quality. Since 1882. 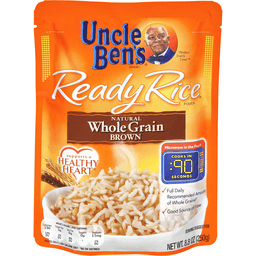 100% Whole Grain: 40 g or more per serving. Eat 48 g or more of whole grains daily. WholeGrainsCouncil.org. Low sodium. 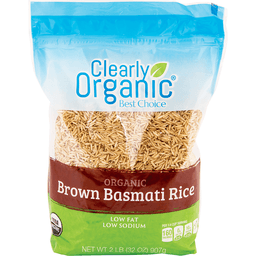 Celiac Support Association certified product. 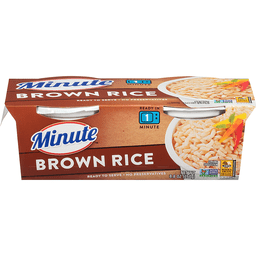 Per Serving: 140 calories; 0 g sat fat (0% DV); 45 mg sodium (2% DV); less that 1 g sugar; 2 g fiber (9% DV); 5 g protein (10% DIV). Have a grain day! For more information visit HodgsonMill.com. 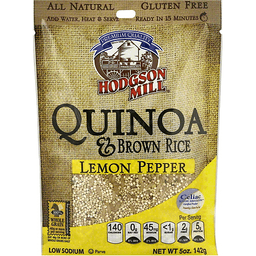 Our Guarantee: Hodgson Mill, Inc. is dedicated to satisfying consumer demand for fine quality, healthy food products. If for any reason you are not satisfied with this product, we'll make it right. 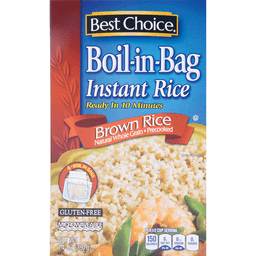 Simply send the complete pouch and your purchase price to: Hodgson Mill, Inc. 1100 Stevens Avenue Effingham, IL 62401. This package is sold by weight, not by volume. Contents may have settled during shipping.